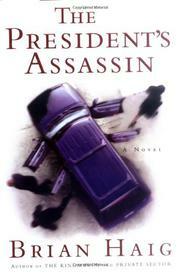 In a sizzling thriller, JAG lawyer Sean Drummond (Private Sector, 2003, etc.) has two days to save POTUS from a mad, bad killer even smarter than Sean is. Not easy, as followers of this series well know, since Major Drummond’s foxiness is world-class. But from the beginning of a skein of horrific murders, the mad, bad guy seems always to be a giant step ahead of the good guys, Sean included. First, White House Chief of Staff Terry Belknap and his wife are annihilated in their own home, along with the four magnificently trained secret-service agents assigned to protect them. Next, the White House receives a chest-thumping message promising that the president himself is history and no force on earth can save him. Remorselessly followed by the murders of a Supreme Court justice and the chairman of the Republican National Committee, the mad, bad boast begins to take on the aspect of revealed truth. Outmaneuvered at every turn, Sean, on temporary duty with the CIA’s Office of Special Projects, decides there must be a mole in the woodwork. Only that could explain the sophisticated security systems confidently breached, the ready and diabolical exploitation of habits, behavior patterns, and peccadilloes once considered intensely private. FBI Special Agent in Charge Jenny Mangold agrees with Sean, and together they root around in personnel files, on high alert for suspicious smells. They find one, or at least they think they do: a man so blinded with hate that indiscriminate slaughter appears to him nothing other than a measured response to an unhappy childhood. The good guys mount their chase. And while they do, brash, tough, iconoclastic Sean and his brainy, leggy partner try hard not to get distracted by each other. When on his game, as he is here, the mouthy lawyer with the susceptible heart is as good as the genre offers.